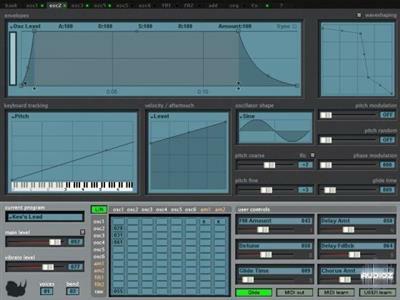 Basic FM features 128 presets that will fit many different styles of music. With useful parameters assigned to the User Sliders, change the sliders during performance for an evolving, dynamic texture. Included presets are: mono analog emulations that have a sharp FM edge, soft and harsh pads, strings, brass, effects, keyboards and electric pianos, clavs, guitars, bells, bass and more.